Across the developed world, birth rates are falling and people are living longer. This situation is demanding the exploration of new roads to promote healthy aging, rather than merely treating the diseases of old age. A powerful therapeutic option for promoting healthy ageing as well as for treating age-related diseases is physical activity. There is compelling evidence that physical activity practised on a regular basis plays a key role in maintaining health and physical function also in older adults. Indeed, some International Institutions, such as the Centres for Disease Control and Prevention, the American Heart Association and the American College of Sports Medicine strongly recommend older adults (≥65 years) to enrol in aerobic and strength activities most of the days of the week. The present E-book thoroughly describes in a clear and understandable format the potential role of regular physical activity to improve the well-being of older adults. 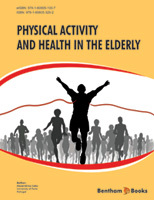 This text will be a very practical and useful guide for public health professionals, health and fitness leaders, healthcare providers, and anyone who is interested in learning more about physical activity and health in the elder from an expert in the field. Increasing physical activity is a public health challenge and the author presents an ambitious and broad-ranging review of the current state of our understanding of physical activity and health and offers very practical tools to meet these challenges. Physical inactivity is not only an individual's personal problem but has become identified as a serious public-health issue. Prolonged inactivity that occurs in many elderly persons tends to lead to a gradual decrease from all the components of physical fitness, thus compromising the quality of life. Scientific research has shown that exercise can slow down both the psychological and physical aging clock. Engagement in health-promotional behavior in the domains of physical activity, health dietary practice and stress management are considered useful strategies to enhance functional capacity. These practices delay the onset chronic diseases, minimize negative psychological consequences, improve social networks and quality of life, particularly for the elderly. This E-Book will go a long way in promoting these values by providing the masses with information and tools to help meet the challenges of promoting physical activity for older adults in this ever dynamic 21st century we live in. Engagement in health - promotional behavior in the domains of physical activity, health dietary practice and stress management are considered useful strategies to enhanced functional capacity, delay the onset chronic diseases, minimize negative psychological consequences, improve social networks and quality of life, particularly for the elderly. Therefore, it is important to understand that the relationship between health related problems and physical dependency and to assess how they can influence the reduction of older people's Health Related Quality of Life (HRQoL). This is an important underlying factor for future health care research. This could go a long way in influencing political decisions, which in the long run would create enabling structures and facilities through the formulation of intervention policies and strategies.